Rise Against Hunger April 22nd at 1pm in Fellowship Hall is our next packaging event. This is a fun way to have the whole family involved in serving others. We will have pizza for lunch after church and get started. 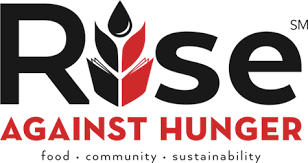 Rise Against Hunger’s meal packaging program is a volunteer-based initiative that coordinates the assembly-line packaging of highly nutritious dehydrated meals comprised of rice, soy, vegetables, and 23 essential vitamins and minerals. The program was created to give dedicated individuals and organizations the opportunity to participate in a hands-on international hunger relief program and to become educated, engaged advocates for the world’s hungry. Since the inception of the meal packaging program in December 2005, these packaged meals have been used primarily to support school feeding programs in developing countries. Hunger is the common thread among the world’s most challenging issues. Targeting hunger — specifically by supporting school feeding programs — leverages support to other causes including poverty, disease, education, and the welfare of women and children.